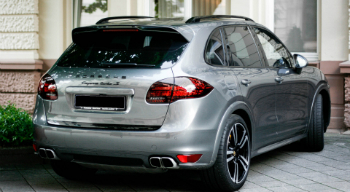 With over 40 years of experience working on Porsche, Audi, and Volkswagen vehicles, it should come at no surprise that Game-Face Motorsports is the number one choice for your luxury SUV repair. Our technicians have the right tools and diagnostic equipment to uncover and repair and issue that your vehicle is facing. Get in touch to learn more or to schedule service. Our service department boast an in-ground and in-house two wheel drive DynoJet 248C. 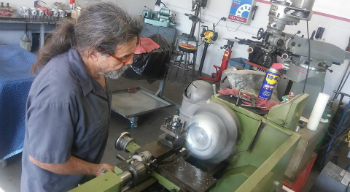 All of our engines and transmission rebuilds, as well as fine tuning service and locating those hard to find drivability issues. Done in house our dyno. Many specialized tuners also use our facility to tune their race cars as well as high performance street machines. Interested in Dyno tuning please call or a message. Gameface came highly recommended from a friend. 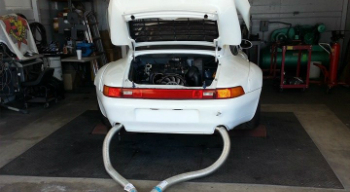 My 911 Carrera had an oil leak when I brought it in, and what do you know, it leaks no more. So far so good! I have been using them for three years now. They keep my Audi in tip-top condition and it has over 110 thousand miles on it. And the best thing as an audi owner is being able to trust them. Highly Recommend their services. All compliments. I got a good, reliable service. With attention to detail and direct communication about the car problems I should be aware of. The staff is always friendly and welcoming, which is another big plus. These repair guys are amazing. My car is finally repaired. Bosch Trained Fuel Injection Specialist, with the latest in tools and equipment to effectively diagnose and repair any problem your vehicle may have using only approved Original Equipment parts. Welcome to Game-Face Motorsports, INC, with over 46 Years of Porsche, Audi and Volkswagen Car Repair Experience. We are your logical dealership alternative for Service and Repair, offering a wide variety of Services. You can be confident that your service professional at Game-Face will provide you with quality service at competitive prices, while maintaining your manufacturers’ warranty. Specializing in Porsche repairs and maintenance, Audi repairs, and VW service only, early and late models, our extensive experience guarantees that which ever model you drive, your car will deliver mile upon mile of trouble free excitement. Let us work around your busy schedule to get your car up and running fast. Copyright © 2019 Game-Face Motorsports, INC. All rights reserved.